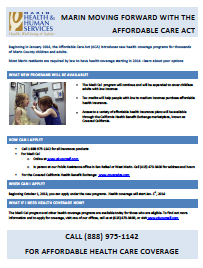 Beginning in January 2014, the Affordable Care Act (ACA) introduced new health coverage programs for thousands of children and adults. Learn more about your options for affordable and accessible health care coverage. Click on the images below for details and contact information or call 1-800-300-1506. 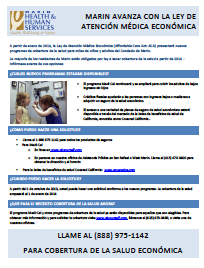 Information is also available at www.coveredca.com.